Hizb ut Tahrir / Wilayah of Turkey organized a major conference on the anniversary of the destruction of the Khilafah on March 3rd of this year. 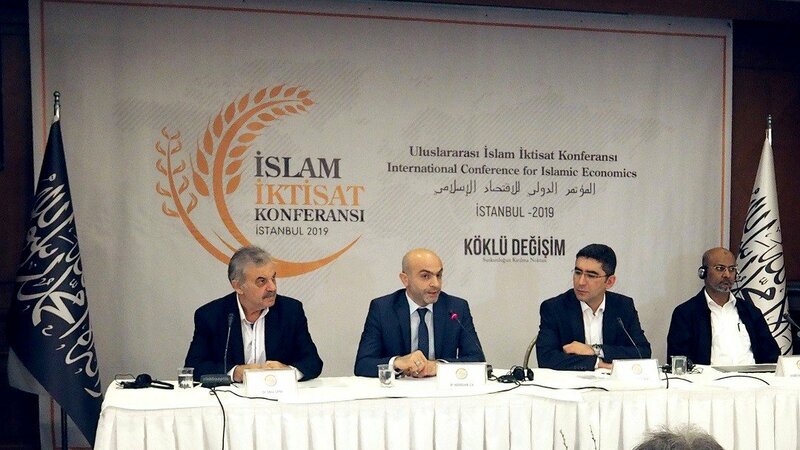 Due to the economic crisis facing Turkey currently, the conference was organized this year under the title, “The International Islamic Economic Conference – Fundamental Solutions to Economic and Financial Crises” in Istanbul. Mahmoud Kar, Head of the Media Office of Hizb ut Tahrir / Wilayah of Turkey, presented the opening address for the conference. In his speech he said: “The truth is that it is the world is now transformed into an unfit living environment, and suffers from poverty, tears and blood, the main cause of this is the capitalist ideology that prevails over the whole world ideology adopted by society that governs its political, economic and social affairs, but currently the implemented ideology in Turkey and the world is the capitalist ideology.” If the nothing else, if we seek tranquility, well-being and security of the world, if we wish to eradicate poverty, famine and inequality in the distribution of wealth, and if we want to get rid of all kinds of problems and crises, we should start with this corrupt ideology. As long as we do not correct the ruling system, then all the systems remain corrupt because they are linked to it. This is why we organized this conference in Istanbul, the last capital of the Khilafah (Caliphate) State and on the anniversary of the destruction of the Ottoman Khilafah on 3rd of March 1924, which is the ruling system in Islam”. At the first session of the conference held at the Istanbul Akgun Hotel, Dr. Abdurrahim Şen delivered his lecture entitled, “Capitalism is the Main Cause for Crises”. And from the International Islamic University Malaysia, Professor Dr. Ahamed Kameel Mydin Meera gave his lecture entitled, “Capitalism is Inherently Flawed and Prone to Crises.” And from the University of Brussels, Dr. Ismail Çapak delivered his lecture entitled “Who are the Winners and Losers of Crises?” The second session, had the graduate of the Faculty of Sharia Abdullah Imamoglu deliver a speech on Islam as a comprehensive system of life and that Muslims should not seek pride in anything other than Islam. Followed him was the speaker Professor Dr. Hakan Sarıbaş from Bülent Ecevit University. He delivered a lecture entitled “Islam’s Approaches Towards Today’s Economic Issues.” Economist Muhammed Hanefi Yağmur, speech was titled, “Foundations of the Islamic Economic System”. Mohammed Malkawi from Jadara University in Jordan gave a lecture entitled “How will Islam Solve the Economic and Financial Crises?”. Then he was followed by the speaker, Professor Dr. Arif Ersoy, from Sabahattin Zaim University. We in Hizb ut Tahrir / Wilayah of Turkey thank all politicians, academics, opinion leaders, representatives of non-governmental organizations and all participants who attended our conference from many different countries and cities.